Inspire your guests with the Love of the Lord when you offer them these magnificent gold Cross keychains to take home as a memento of your celebration. The Cross ornament is made from polyresin. It features a rich royal blue border with gold flowers, gold scrolls, red and green accents and a gold Cross in the middle. A gold outer border and gold inner border with white beading finishes the ornate design. This magnificent favor is presented in a blue box decorated in a Hampton link design. The box has a clear acetate top and is lined with satin. It is wrapped with a white organza ribbon and bow. Attached to the bow is a round blue 'For You' tag. 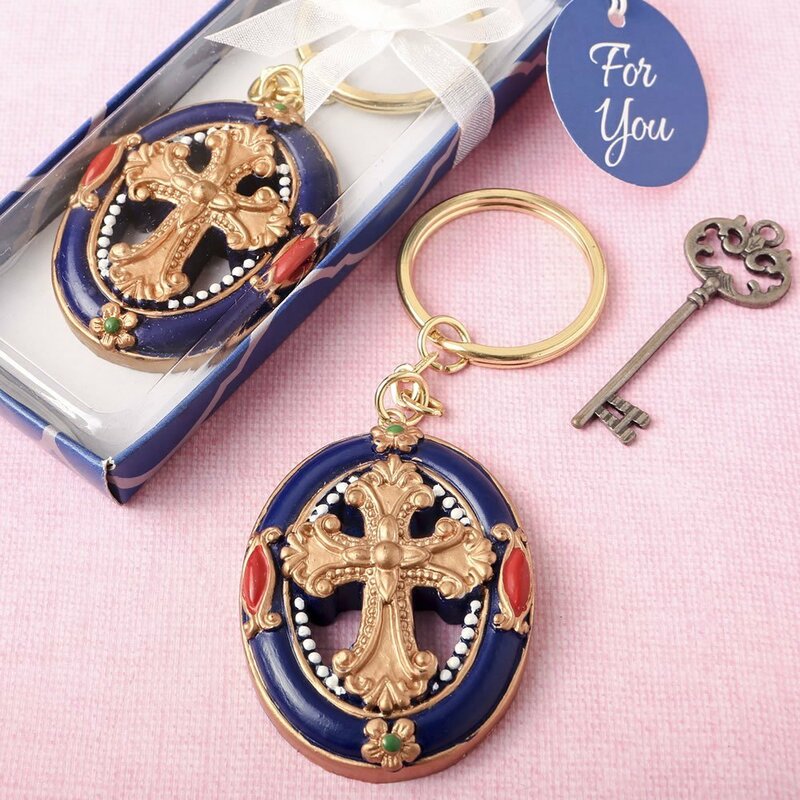 Size of Cross charm is 2" x 1 1/2"